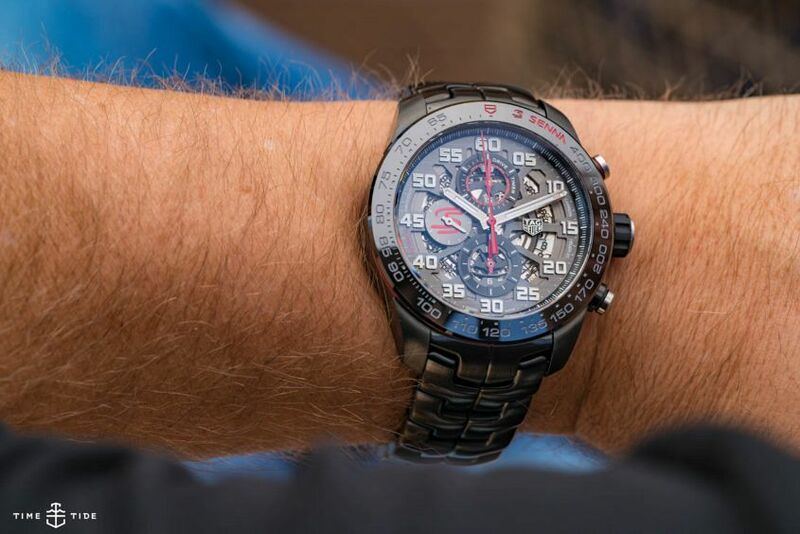 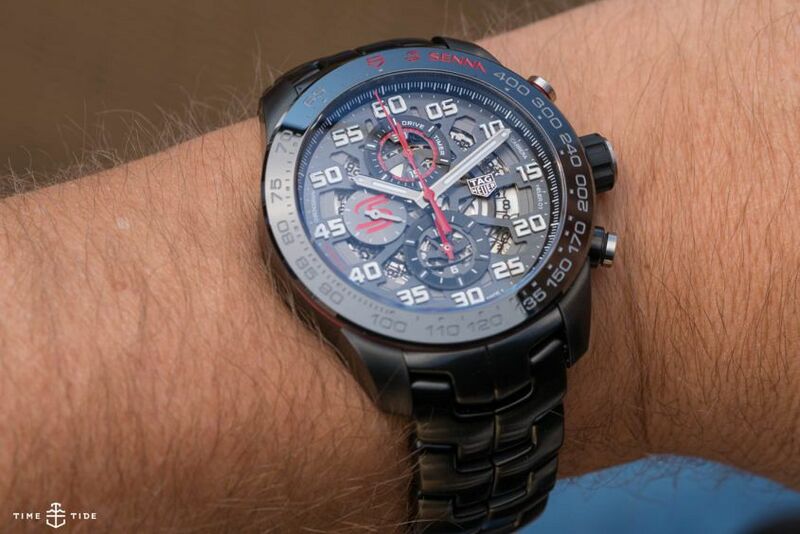 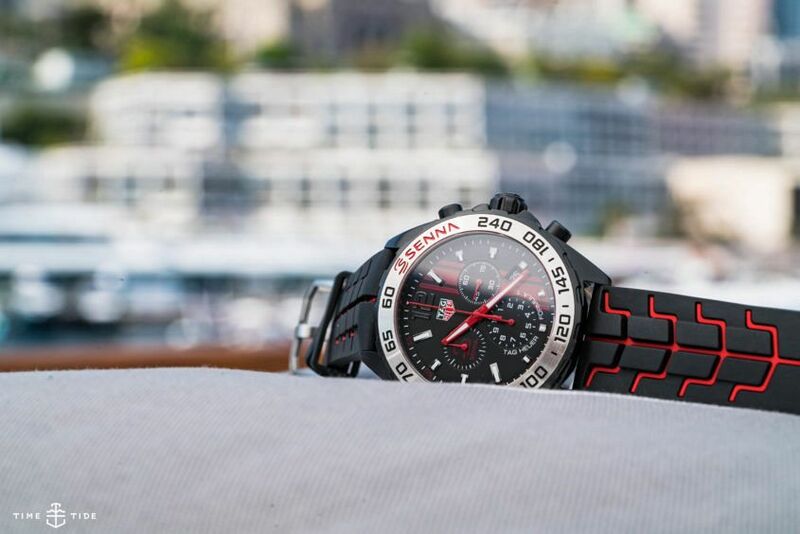 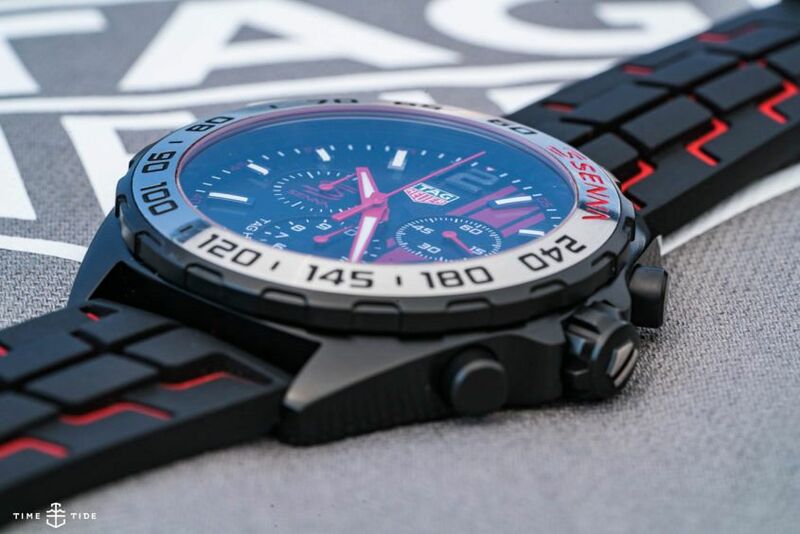 TAG Heuer is not a brand to waste an occasion, and with Chris Hemsworth, his mate Matt Damon and a cast of VIPs all staying in a super-yacht in Port Hercules on the eve of the 2017 Monaco Grand Prix, there was always going to be a watch announcement. 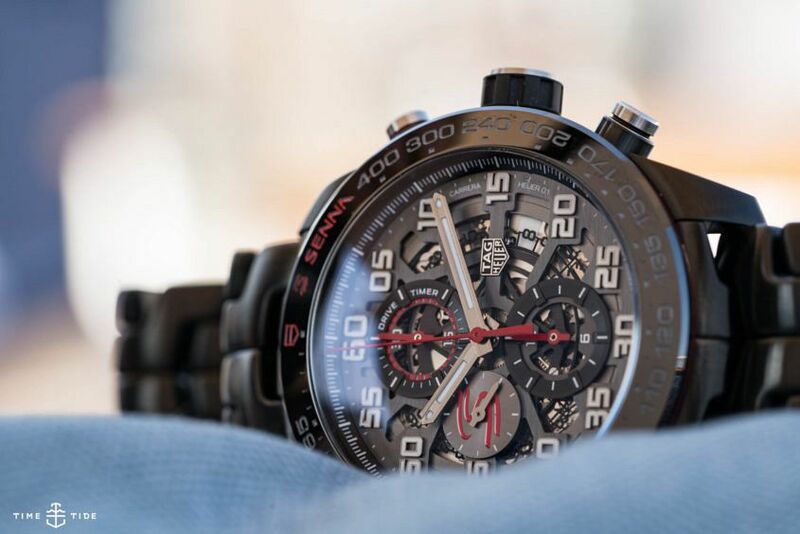 But this one was particularly poignant. 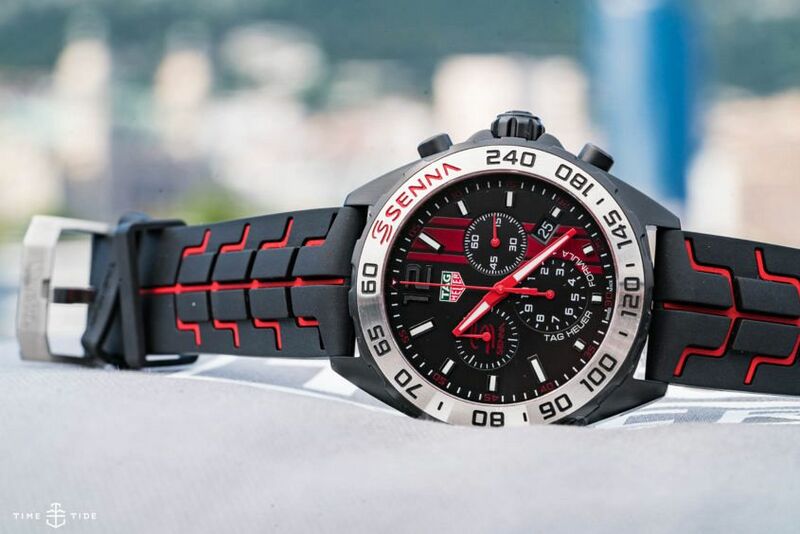 It was, in fact, 30 years ago that Ayrton Senna won his first Monaco Grand Prix. 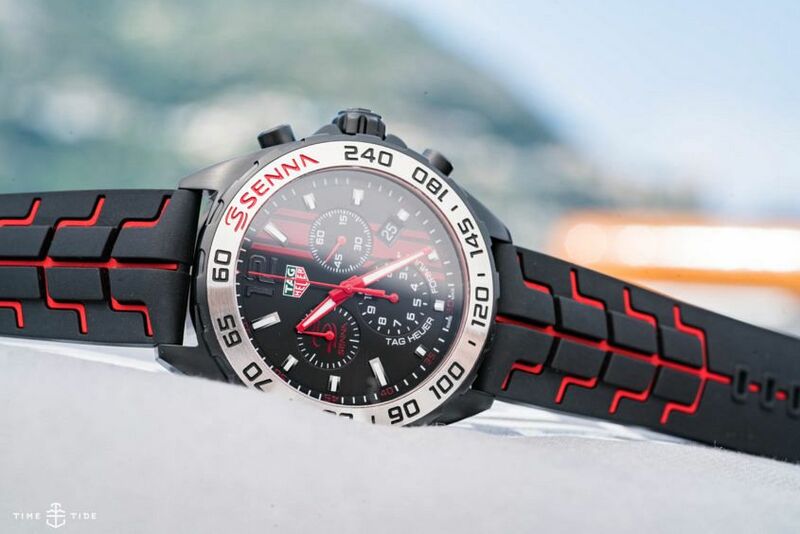 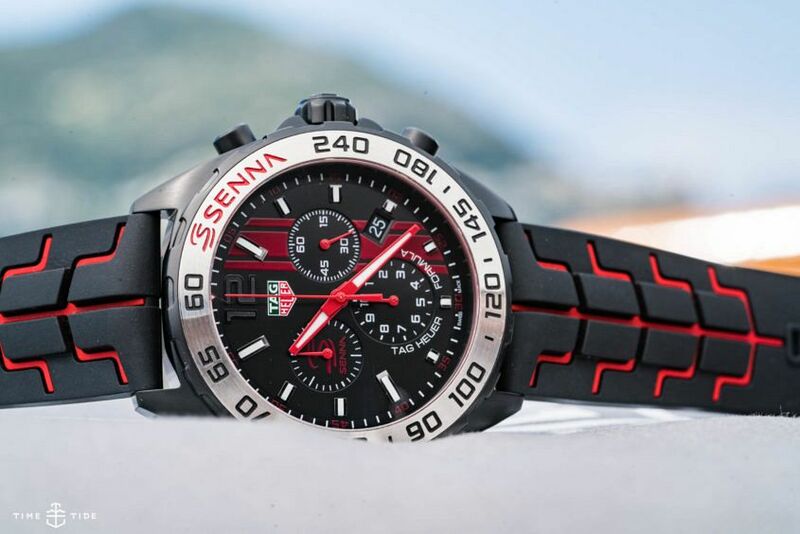 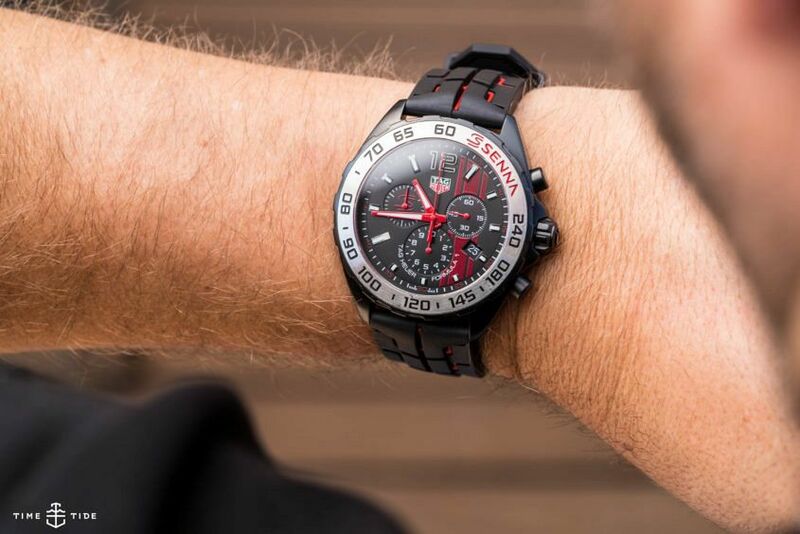 The three new Senna commemorative watches – two Formula 1 models, one time-only, one a chronograph as well as a Carrera Heuer 01 – are bold and sporty with high-contrast red, black and white colour schemes. 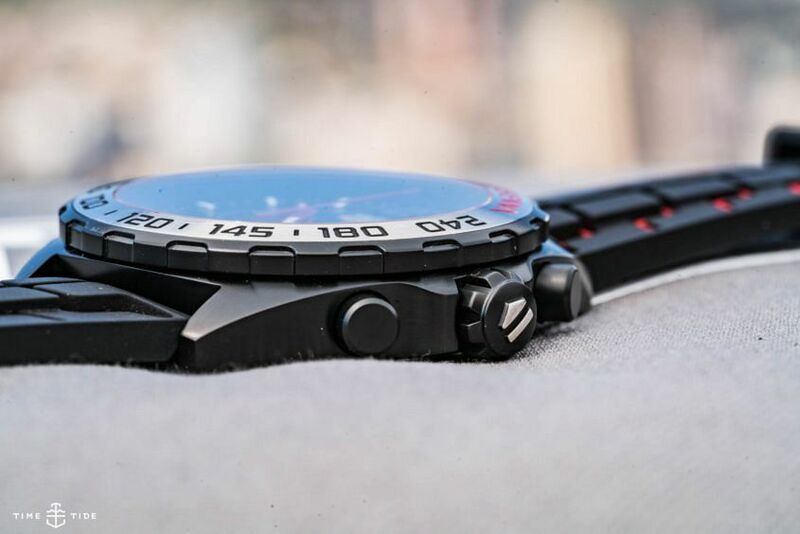 The hulking Heuer 01 with the Link style bracelet is the real standout, it combines design codes from two recognisable TAG Heuer collections, resulting in a brutal Doctor Moreau like hybrid. 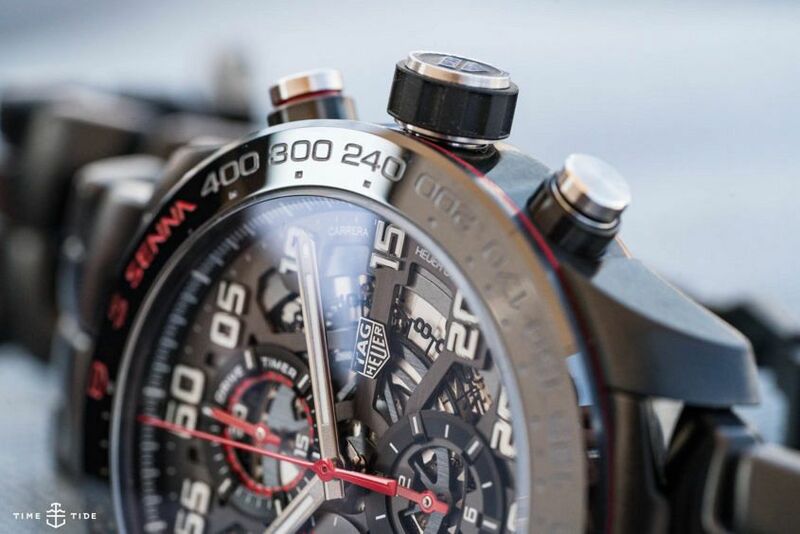 And when we say it’s heavy, you’d better believe it. 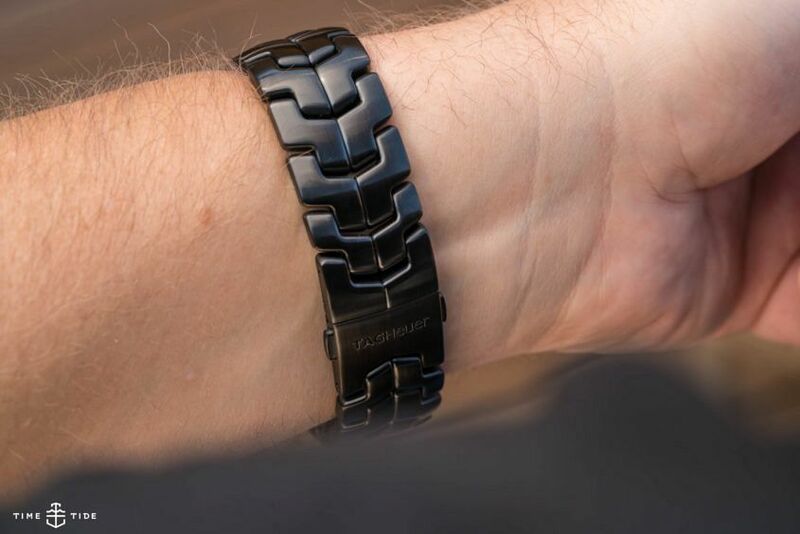 The links are solid. 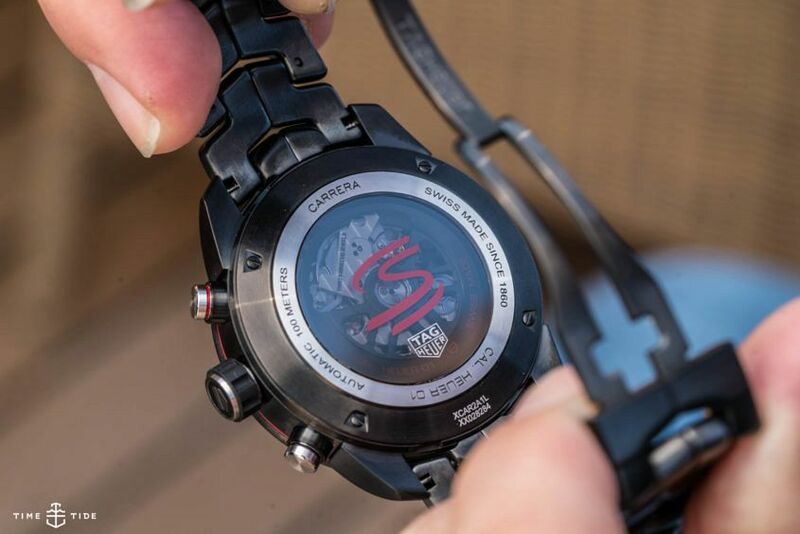 This watch weighs a ton.